Chalet Spillstatt is a self-catering accommodation with a fireplace, a terrace and mountain views, located in Grindelwald, 700 metres from the Grindelwald Grund - Männlichen Ski Lift and 1 km from the First Cable Car. The apartment also provides a TV, a seating area, a bathroom with shower, and a fully equipped kitchen with microwave. The Grindelwald Train Station is 500 metres from Chalet Spillstatt..
Belvedere Swiss Quality Hotel price per day from € 162 Offering panoramic views of the North Face of the Eiger and the Bernese Alps, this family-run 4-star superior hotel is just a 5-minute walk from the centre of Grindelwald. Spa facilities at Belvedere Swiss Quality Hotel include a hot tub, a Finnish sauna, a bio sauna, a steam bath, and an outdoor saltwater hot tub in the garden..
Jungfrau Lodge, Annex Crystal price per day from € 73 Run by the same family for over 100 years, Jungfrau Lodge, Annex Crystal is located in the Grindelwald Ski Area and offers free WiFi, free parking and panoramic views of the Eiger Mountain. All rooms at the Jungfrau Lodge, Annex Crystal are decorated in a modern Alpine style and feature elegant wooden furnishings. In summer, guests can buy tickets for the Bergbahn Train at the reception and, in winter, ski passes can be purchase on site..
Jungfrau Lodge, Swiss Mountain Hotel price per day from € 41 Family-run since more than 100 years, the Jungfrau Lodge, Swiss Mountain Hotel within the Grindelwald ski, hiking and cycling area offers panoramic views of the Eiger Mountain, free WiFi and free parking. In summer, guests can buy tickets for the Bergbahn train at the reception. Hotel Cabana price per day from € 139 The Cabana is a cosy, family-run hotel with modern facilities in the centre of Grindelwald. The quiet, south-facing rooms and studios offer breathtaking views of the Eiger and the valley of Grindelwald. WiFi and an internet corner are available free of charge. 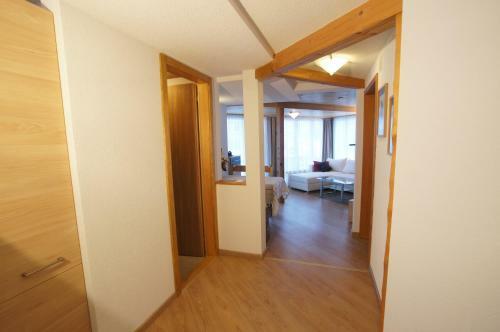 Apartment Jungfrau Lodge price per day from CHF 300 Apartment Jungfrau Lodge is a self-catering accommodation located in Grindelwald, 5 minutes on foot from the city centre and the train station there. A balcony and a terrace with views of the Eiger Mountain are featured in the spacious accommodation unit, which contains 4 bedrooms, 2 bathrooms, a living area and a well-equipped kitchen..